There are a few typical problems associated with iOS devices and every user knows about it but if your iPhone suddenly stops charging, then you should try to get it fixed as soon as possible. Every iPhone package contains 1 or 2 supporting materials and the Lightning Cable is one of them. This Lightning Cable is used daily by the users to charge the device but suddenly one day when you plug in the device with the Lightning Cable, the usual tone is not confirming that the charging has started. Then, you basically would try to plug the cable a few more times before giving up, now your iPhone won't charge. Not being able to charge the iOS device is definitely frustrating, so, you need to look for solutions. There are a number of ways you can move forward but some of the best options are discussed below. Part 1: Why Won't iPhone Charge? There are lots of reasons why your iPhone won't charge, it is not always associated with a single fault in the device. There could be a bug in the Operating System or simply the battery of the iPhone is damaged, even the faulty Lightning Cable could be the reason behind it. Basically, there could be both software and hardware issues that can halt the charging process. Part 2: How to Fix iPhone Not Charging? If your iPhone is not charging, then there are a few possible reasons for that; it could be a software issue or even a hardware issue, or it is also possible the Lightning Cable you are using is damaged. There are a few ways you can try to solve the problem without making a visit to the nearest Apple Store. The top 6 options are discussed below. First, you should have a look at your Lightning Cable if iPhone not charging, take it out and have a very close look at it, if you find any visible damage then that's the end of inquiry but if not, you need to take other measures to find out if the cable is damaged or not. Then, you can try to charge the iPhone from your computer without the Wall Adapter, if it is working then the Wall Adapter is damaged or you can try to get your friend's iPhone and charge it with your Lightning Cable. Overall, you should try to use another cable to charge the device. Next, you should check the iPhone charging port. 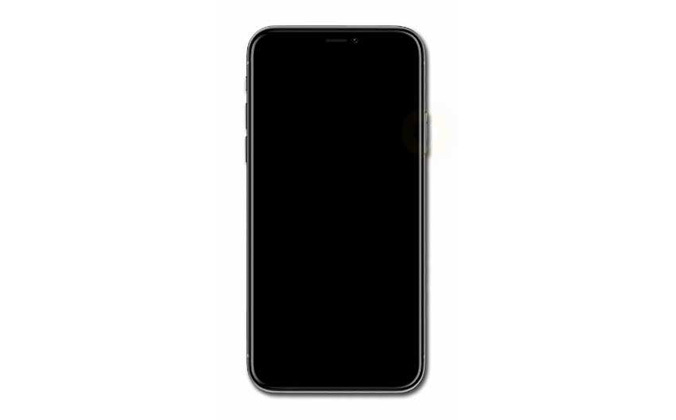 It is at the bottom of the device, take a flashlight and look if there are any debris or any junk inside it, maybe that's why iPhone 6 won't charge. If you find anything inside it then take a soft brush and clear it out. If that was the only problem then your iPhone must be charging properly, if not try the next solution. If your Lightning Cable and the Charging Port are working properly then it is possible that it is a software problem, so, you should Hard Reset the device. 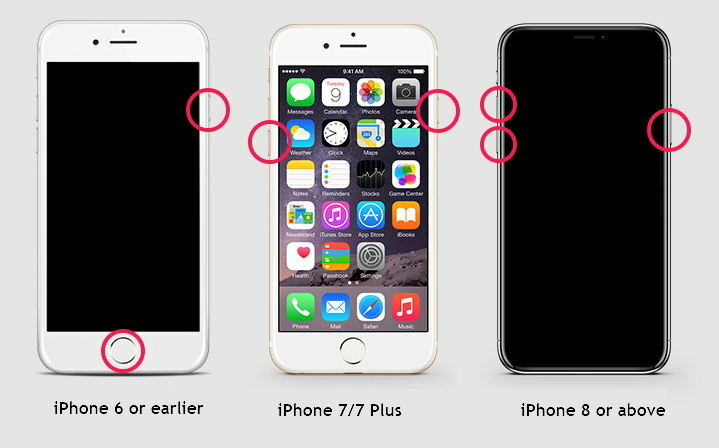 Making a Hard Reset will let you check, if there is any bug in the software which is causing the iPhone won't turn on or charge. Step 2: Keep holding them until the Apple Logo is visible. Step 3: Then, just let go of the buttons. Step 1: Press and hold the Side and Volume Down button together. Step 1: Press and release the Volume Up and Volume Down button quickly. Step 2: Press and keep holding Side button until the Apple Logo is visible. Step 3: Then, just let go of the button. Step 1: Run the software once you have connected your device to the computer and click on "Repair Operating system" option. Next, click "Start Repair" option. Step 2: Click Download to install the latest firmware package online. Step 3: Next, select "Repair Now" to start the recovery of your device. After the procedure ends, your device will reboot and the issue will be resolved. Even after trying all of the above, you are still stuck with "my iPhone won't charge" then you must have a hardware problem. Probably, the battery of the iPhone is damaged so, you need to replace the battery as soon as possible. It is a very terrible situation if suddenly your iPhone stopped charging, you need to deal with the situation fast but efficiently. So, before reaching any conclusions by yourself you must go through these procedures to find out the source of the fault. We are hoping that you will find the source and as a result fix the device, because if it's a software issue then Any iOS System Repair (ReiBoot) will probably fix it, otherwise your only way out is to take the device to the nearest Apple Store.